PlusSpec is going to organize an exclusive contest on SketchUp Layout 2D Documentation. Sketchup Layout is considered as a robust & professional 2D presentation and documentation tool. The theme of this contest is “How SketchUp Layout is the ideal 2D documentation software for Architects, Designers, Engineers and Builders”. All the creative people can attend the contest at free of cost. The time limit for submitting entry : All entries must be submitted prior to Monday 06 April 2015. Award date: The names of the winners will be declared on: Monday 27 April 2015. 1st Prize: 24 month PlusSpec licence (valued at AUD$1590). The licence information will be delivered through email. 2nd Prize: 12 month PlusSpec licence (valued at AUD$795). The licence information will be delivered through email. 3rd Prize: 6 month PlusSpec licence (valued at AUD$398). The licence information will be delivered through email. All of the winners will be acknowledged globally regarding their work, which will be published on some of the recognized websites like plusspec.com, Sketchucation.com, Sketchupartists.org, sketchup-house-plans.com, Google SketchUp Facebook page, Kemp Productions and other leading social media platforms. Judging criterion:All (or the greater part of the) drawings must be finished with SketchUp Layout. One can also submit their any previous, existing, or experimental work (paid or unpaid). Design preference: One should prioritize the Residential work. But one can also present the commercial or retail designs. All the participants should keep copyright of their work, but allow the sponsor and judges to make use of their drawings on web sites, forums, blogs, and other social media websites for presenting to the community. The participants should not deliver or include any work that belongs to other. The drawings should not have a genuine property address. If the drawings include a job address, it must be eliminated. No marketing or branding will be encouraged other than the participants name/company name and logo which should be appended on the drawing. Once the names of the winners will be declared, PlusSpec will get in touch with the prize winners and give them necessary information on how to download PlusSpec, as well as its licence code. Be trained with placing your view at the proper height and position to browse your scene. It also offers an synopsis of the tool and helpful tips. With Inference locking one can sketch or move in only one direction and still reference other geometry. It is very useful for transforming your sketchup workflow more improved and quicker. Learn the several application of inference locking that can facilitate the users for drawing and moving objects. The eraser can be applied to disguise or make edges smooth. Go through some helpful tricks on how to apply the eraser tool in a superior way. Learn how to demonstrate the dimensions as well as how to adjust it efficiently. Get familiar with the fundamentals of Arc tool and some functional tricks and tips. Section tool and how to fine-tune the section display, implant several sections in groups and components and produce section animations. There will be also demonstrations on several tools and how to perfectly use these tools for making drawing or moving objects in SketchUp. Walk through SketchUp model by the walk tool. Be trained with the tips to modify your eye height and toggle collision detection on and off. Learn the fundamental of rotating objects through and some advanced tricks. How to apply the rectangle tool in SketchUp along with some useful tricks for greatest use and exactness. Get acquainted with some useful tricks on how to utilize Push/ pull tool in a different way. The protractor in SketchUp produces construction lines to streamline the drawing and inferencing. Learn the best possible ways to set the protractor precisely. Learn how to apply materials to a sketchup model through paint tool as well as alter materials all at once. Learn how to apply scale tool to mirror objects effortlessly. Learn how to draw edges in any direction. Various application of the freehand tool. Learn the basics of follow-me tool for generating details, rails, trim, lathed shapes and several others. Be abreast of copying objects in SketchUp and after a single copy, make that an array for many copies. Know the primary difference between the circle and polygon tools in SketchUp and some tips for regulating the size and segments. Learn how to alter and orient the axes in sketchup. To apply inferencing along various directions, orient the axes in any direction. Learn how to apply tape measure tool for producing construction lines which are very handy as reference geometry in SketchUp. Tape-measure tool can also re-size groups or the whole model. The scale tool can perform on even surfaces or 3D objects. Besides scaling objects, it is also be utilized as a modeling tool. Autofold is constructed into the move tool and facilitates you to maneuver surfaces and form automatic folding edges. If you remember component bonus, you will also remember 2D and 3D tree and how it make and those beautiful woodwork, joints and roof. Now these components, mainly composed by the team sketchup have always been added to 3D warehouse. In the sketchup 2015, it has been extended; glorified and standard component has been improved. Till now, 2800 individual content have been restored in 3D warehouse the repeated browsing reveals many collections. These theatres light are the best example. These improved, developed components are genetic in nature. The title of new components is ‘detailed’. If you take the search results, it would show: “HMI Light 4000Watts with Barndoors” with all display simplified and detailed display. These components are characteristically ‘geometry heavy’; the user has to consider the use of sketchup model. The simplified components can be considered as proxies and replaced it with detail version. The way to access of content is: 3D Warehouse Detailed Collections via SketchUp’s 3D Warehouse window (File > 3D Warehouse > Get Models) or via your web browser. These are all filled with information together with IFC attributes and metadata. They will always try exporting to Tekla BIMsight or Trimble Connect – both accept IFC files. One can browse 3D warehouse for those contents. Special care has been taken to add relevant tags. The collections are electronics, cranes, jibs and cranes. Trimble together with Maui Economic Development Board’s Women in Technology (WIT) is providing an exclusive opportunity for all K12 public, private and charter schools in Hawaii states of USA to access the most updated version of sketchup software alias SketchUp Pro software (2015) at free of cost. The Women in Technology Project is a statewide proposal of the Maui Economic Development Board, partly supported by the U.S. Departments of Labor, Education, and Agriculture to improve the skills of the workforce. With Sketchup Pro, the students will be able to start from the very beginning to import sketches, CAD plans, photos, aerial imagery and other accessible data into a project. By applying the The Pro’s superior modeling tools of Sketchup Pro, the students can easily generate 3D renderings and export them to other 3d modeling programs afterward. With the combination of STEMworks™ and software like SketchUp Pro, students get the ability to use the identical industry standard tools recognized now-a-days by the architects, designers, builders and engineers. There will be significant divergence in the workflow of the students as they can apply their vital thinking and project based learning capabilities for the real world solution for 3d modeling communities. With this alliance of MEDB-Trimble, the students from the eligible local schools can access the more dominant and feature-rich Pro version through a short, online survey form. All the public, charter, and private educators of Hawaii can go through the following linkwww.surveymonkey.com/s/SketchUpPro2015 to finish the survey. A code will then be sent to set up the software. For any further queries on the distribution procedures as well as getting more updates about STEMworks™, contact Isla Young at 875-2307 or email isla@medb.org. Good opportunities never repeat. Live and online SketchUp training is one of such opportunities that help the budding designers to learn more about SketchUp. www. 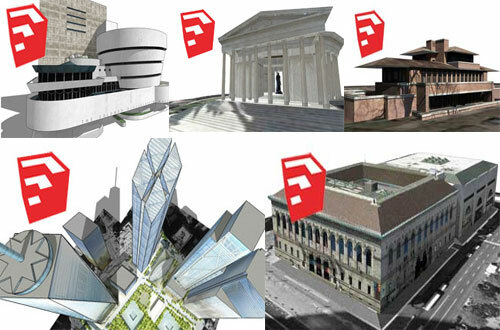 sketchuptrainer.com presents classes across the globe. Acclaimed designer Daniel Brown will be in the trainer seat to instruct the artists. The online and monthly training has been commenced already. To improve the company’s kitset instructions. Make design for new buildings and for clients. Generate cutting lists for production and 3D models of custom designed buildings to make sales & marketing better. The deserving candidate should have sound knowledge in Trimble Sketchup, the free 3d modeling program as well as use it as the primary program for designing purpose. The added advantages will be given, if any candidates have knowledge with NZ Building Code and building permits. Drawings and models have to be accomplished to a superior level of presentation & accuracy. Outstanding knowledge with the Sketchup program. Need to be a computer savvy. Should have exceptional written & oral communication skills. The candidate has to work in tandem with the sales manager and production teams. The location of the job will be in either Timaru or Silverdale office. Watch the following exclusive video through which Chris Connor of Connor Wood Bicycles briefly explains how he utilizes sketchup for quickly develops some ideas for outlining the frames of his wooden bicycle. Each piece of the bicycle is separately hand-sculpted.